One by one, they’re coming quickly! 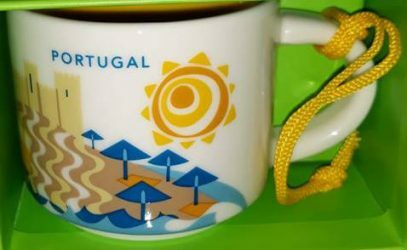 Here’s another country ornament release – Starbucks You Are Here Ornament – Portugal. It is very similar to its Holiday Edition sibling, as well as full-sized regular and Christmas brothers. It is now obvious we can expect at least 8 minis more this season. Stay tuned.